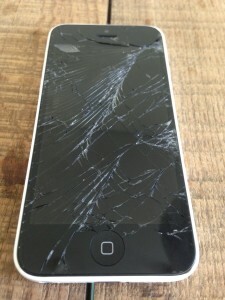 A car ran over my iPhone. Can you help? Walking around with a broken iPhone in Dubai is never a fun time. 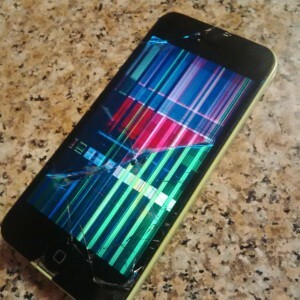 Knowing that that broken iPhone was the result of a car running it over is doubly never a fun time. Such was the case with Kevin this week. Having accidentally dropped his new iPhone while getting out of his car and then not noticing it was missing until 20 minutes later, Kevin walked back to where he thought he may have lost it. Sure enough, it was there. Several meters away from the driver side door of his car. Sadly, it looked a lot different from when he last saw it. A car, or two, or three probably ran over it leaving it looking like the picture above. It was cracked, to say the least. And Kevin was devastated. He had only owned this iPhone for a few weeks and was now looking at an iPhone that appeared to have dropped from the top of Burj Khalifa. Kevin needed a screen repair Dubai. He was not happy at himself. How could he have done such a thing. Miraculously it still turned on. There appeared to be some glimmer of hope for his poor iPhone. He wondered if it would be possible to save. When he returned to his office he began looking for companies in Dubai or Abu Dhabi that could repair a broken iPhone screen. Are there even companies that fix cracked iPhones in the UAE? Is there an iPhone repair service that he could call to have a look? Sure enough, there was. He did a quick Google search and stumbled upon us at iRepairUAE. We answered his call and were happy to have a look at his badly damaged iPhone. After about 30 minutes, we had his iPhone back to normal equipped with a new screen. Now no one will ever have to know that it was run over by a few cars. Oh No! Where can I repair my broken iPhone screen in Dubai? Susan was looking everything for a service that could repair her broken iPhone screen in Dubai. She asked friends. She talked to co-workers. She walked around malls. All in hopes of finding a reliable service that could repair her broken iPhone screen in Dubai. After a few days of cutting her finger tips and navigating the city with a shattered screen, Susan took to the internet to try to find a service that could help. A few clicks of the mouse here and a few key taps there, she had stumbled upon the greatest iPhone repair service the UAE has to offer – iRepairUAE! She filled out one of our repair forms and then decided to try giving us a call right after. To her astonishment, we answered! Shortly after picking up the phone to give us a call, we had set up an appointment with Susan to meet her at her office in Tecom later that afternoon. Traveling up to the one of the higher floors, we brought our tools and replacement parts with us and repaired her broken iPhone screen in Dubai right there on the spot, in less than 35 minutes. She was amazed! And she was delighted that we were able to offer such an incredible service. Susan was walking around town again with a new screen and no longer had to be embarrassed about the fall that had occurred earlier in the week. For all your iPhone and iPad screen replacement needs, look no further. Also! We’re doing Samsung screen repairs in Dubai and Abu Dhabi. 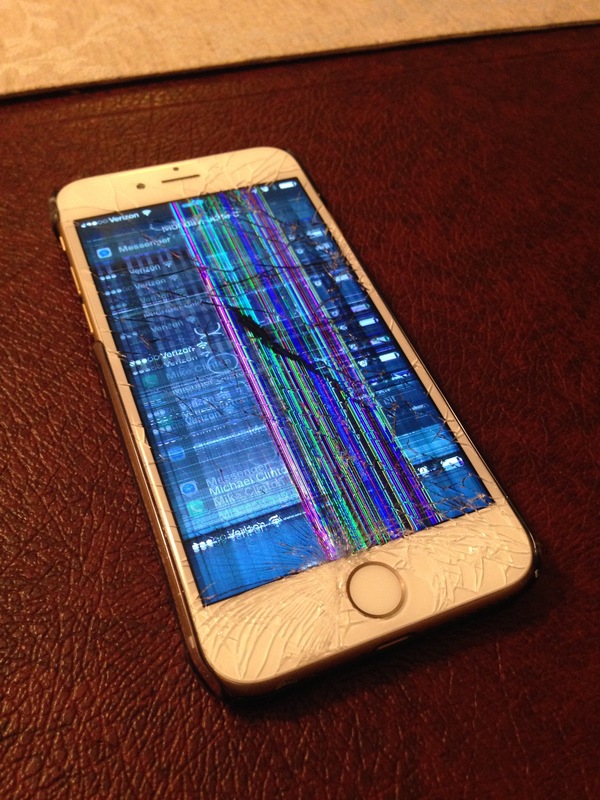 Should you or anyone you know have a broken or cracked screen, please don’t hesitate to get in touch. 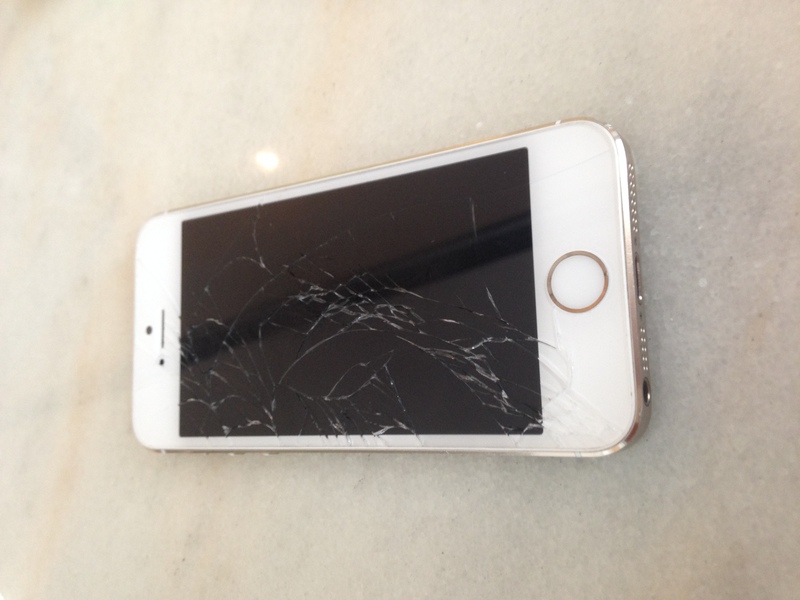 We’re happy to help anyone in the UAE walking around with a broken or cracked screen. We love what we do and are anxious to help out! How Do I Fix A Cracked iPhone 5C screen? Call iRepairUAE! Steven was thinking to himself, “How do I fix a cracked iPhone 5C screen?” This thought was crossing his mind after shattering his iPhone 5C screen the night before. After having a wonderful time with a group of friends in the Jumeirah Lake Towers area, Steven’s iPhone 5C took a dive outside and went crashing to the cement ground. The result, unfortunately, you can see in the picture. Both the glass and the LCD screen were severely damaged and again, he was now thinking to himself how to fix a cracked iPhone 5C screen in Dubai or anywhere in the UAE. He was devastated. He loved his iPhone 5C and was pained to see it in such a condition. This was his first cracked iPhone screen and he didn’t know how to behave. Tears, sadness, and a cold beverage were all in store. Today, however, was Steven’s day to get his iPhone 5C screen repaired. He went looking around at local shops and malls, but didn’t really feel comfortable leaving it with them for several hours. He went down to the Deira area where he had heard that he could get his cracked iPhone 5C screen repaired on the cheap. After a few minutes of walking around that area, he wanted to get the heck out of there. 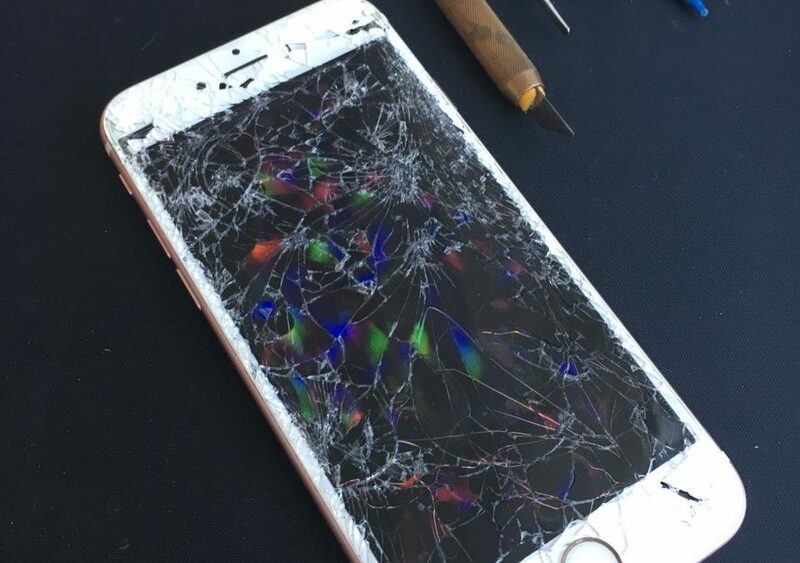 Finally, he turned to the trusty internet and found a company that could fix a cracked iPhone 5C screen in Dubai. Good ol’ iRepairUAE! We’ve been doing this thing for years and love helping out the expat community here in Dubai and Abu Dhabi. Steven gave us a call and we quickly set up an appointment with his to meet him at his apartment in JLT. In just under 20 minutes, we had a new screen on his iPhone. It looked like new again! iPhone Repair Dubai? Is There Such a Thing? Looking for an iPhone repair Dubai? You’ve come to the right place. Bobby was in desperate need of getting his iPhone 6 repaired this afternoon. 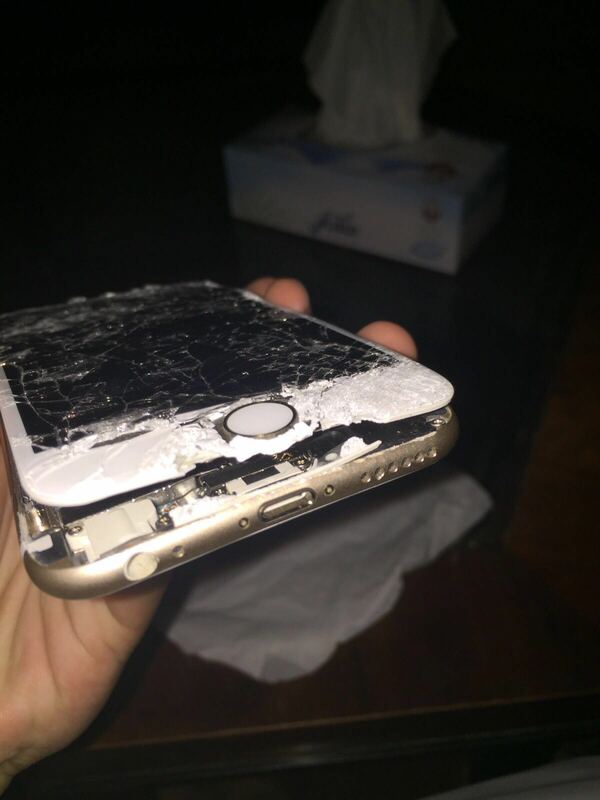 After doing a number on it last night in the Marina part of Dubai, Bobby woke up in the morning to find a pretty significantly beat up iPhone 6 on his bedroom lamp table. He was confused, distraught, and not sure where to turn to in order to get his iPhone repair Dubai. He called several friends asking around to see if any of them had run into a similar problem. He searched the Internet for some sort of advice on getting damaged iPhone screens replaced in Dubai or Abu Dhabi. He cried for over an hour not knowing what to do (kidding, of course!). Finally, a friend returned one of his text messages and told Bobby he had a similar experience not too long ago with both an iPhone 6 and an iPad Air. He found our service and went to our website at www.iRepairUAE.com He filled out one of our repair forms and gave us a call shortly after. Bobby’s friend told him that a Apple repair technician met him at his apartment in Motor City and repaired both his iPhone and iPad in under an hour. He was psyched! Bobby decided to give us a go in hopes of getting his broken iPhone 6 screen fixed in Dubai. Having already spent most of his morning trying to figure out what to do, Bobby was late for work. We managed to set up an appointment with him for later in the afternoon. We met him at his office in JBR and replaced the cracked screen on his iPhone 6 in just under 40 minutes. He was happy as could be as he now had what looked to be like a brand new iPhone 6. Tony rang us up today. This morning he had the unfortunate occurrence of shattering both the glass and LCD screen on his iPhone 6. Nothing was working. He couldn’t even call the office to tell them he’d be late. Tony quickly became very much aware of how reliant he is on his iPhone and needed to find a repair service in Dubai or Abu Dhabi that would be able to replace his broken screen. Once getting into work, he searched around for a company that could replace the cracked screen in a hurry. He called us up and we met with him within the hour in the Jumeirah Lake Towers area. After about 30 minutes we had his iPhone screen replaced and working like it had before. Give us a call today! Find out more at www.iRepairUAE.com!